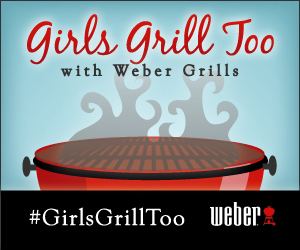 Thank you all for entering to win the Weber Grill. I have really enjoyed working with Weber on this Campaign. The winner of the Touch Silver Charcoal Grill is comment 101. Glenda “I follow you and Weber on Twitter and tweeted the giveaway”. I will be contacting you soon Glenda and I hope you enjoy the grill!